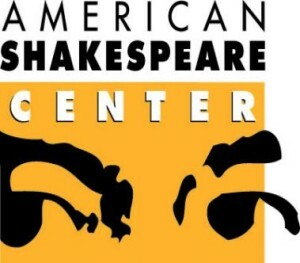 Yesterday I saw a play I’ve never seen before–Fletcher and Massigner’s The Sea Voyage–as part of the American Shakespeare Center‘s Renaissance Season. Based on The Tempest, which is also in this season’s repertoire, the play at first seems to be going in a different direction, but ultimately circles back to a Tempest-like resolution. Albert, a French pirate, is shipwrecked with his mistress and crew on a mysterious island. They soon encounter two men whom they mistake for misshapen creatures, sort of like Caliban in Shakespeare’s version of the story. Eventually they find a colony of women who inhabit a neighboring island, also shipwrecked. Complicated romances ensue and eventually former identities are revealed and enemies reconciled. Slapstick aside (there’s plenty of it, if you like that sort of thing), this is a very funny play, loaded with bawdy jokes and innuendo. And the performances are excellent from the entire cast. I especially enjoyed the love triangle among Chad Bradford, as Albert, Lauren Ballard, as Aminta, Albert’s mistress, and Lexie Braverman as Clarinda, the daughter of the leader of the “Amazonian” women. As always, the music provided before the show and during the interlude, was great. The Renaissance Season is winding down, with only a few weeks left before the touring company returns to town for the Spring Season.